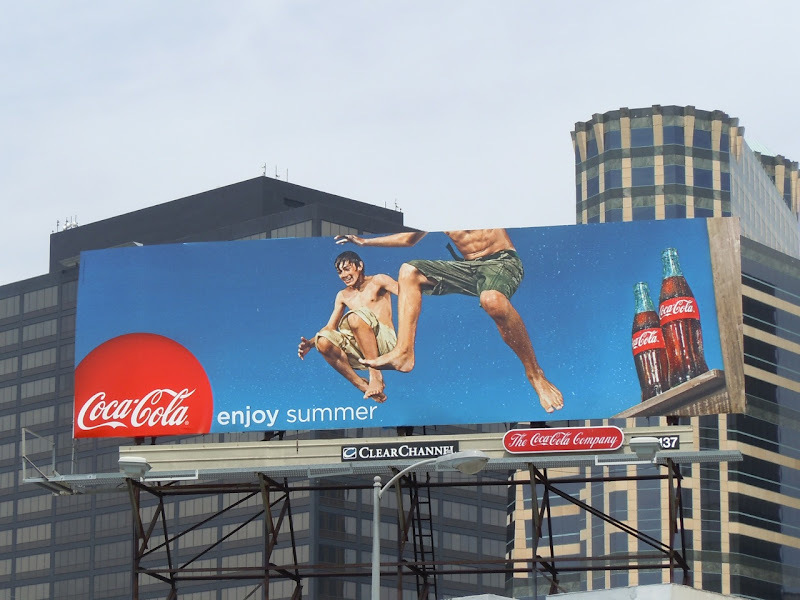 There's nothing like a Coke to quench your thirst in the Summer heat, or at least that's what these ads for Coca-Cola would have you believe. 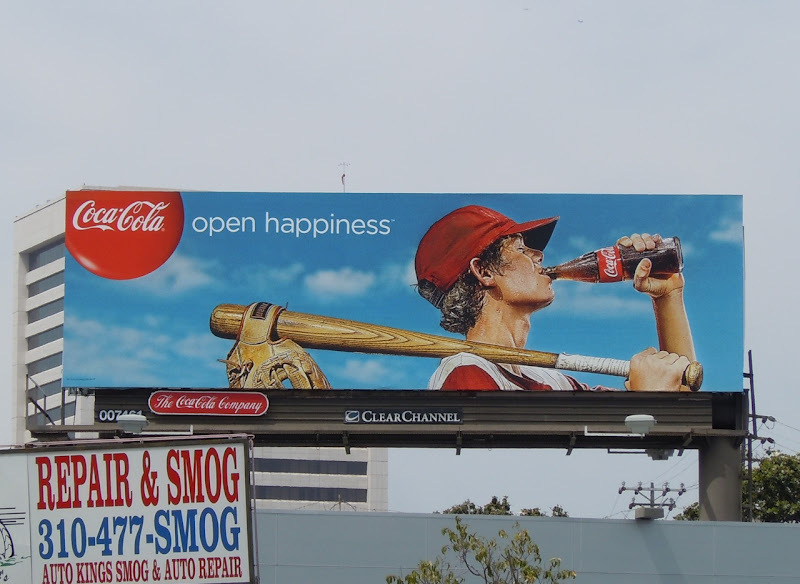 These bright billboard creatives have a nice classic feel to them and it's clever for the makers of the sugar-laden soft drink to position themselves alongside sports, outdoor activities and fun, in order to appear healthier than it may actually be. 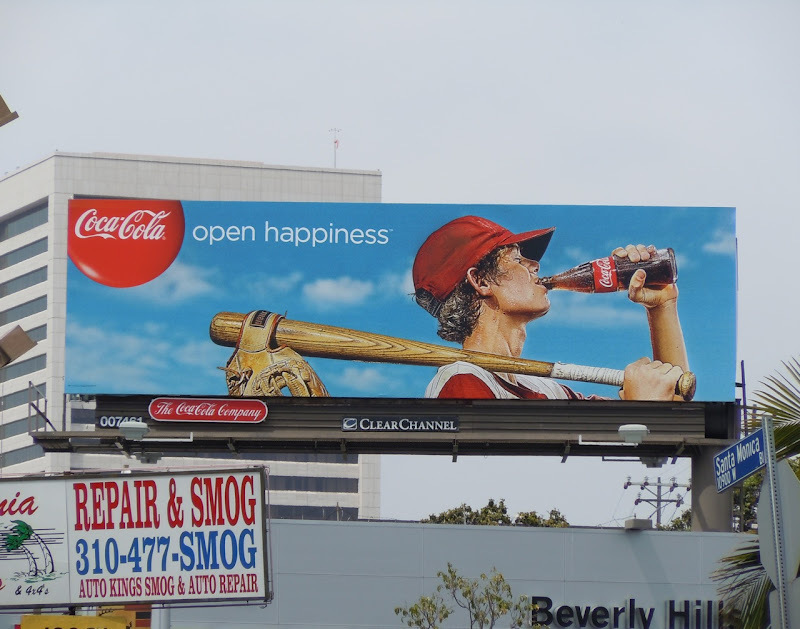 But as they say, everything in moderation, and after all there really isn't anything like a Coke on a hot Summer's day to cool you down (or for a good burp for that matter). 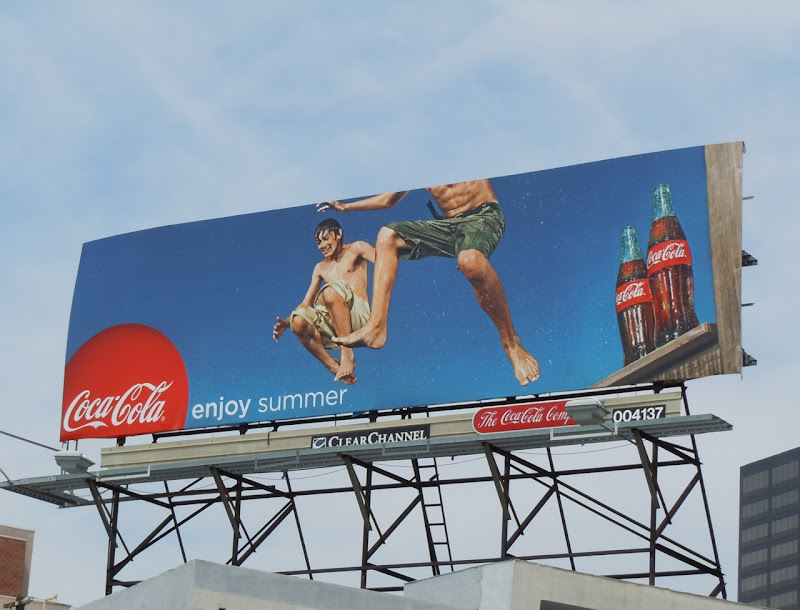 These summery billboards were snapped along L.A.'s Santa Monica Boulevard and Westwood Boulevard on a rather gloomy May 13, 2011.